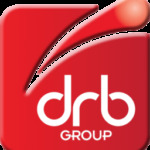 DRB Group is a trusted partner to a wide variety of industrial industries including aerospace, heavy engineering and packaging. Would you like to increase capacity in your production? Is your current process outdated and causing problems? Have you considered decreasing your down time and reducing your costs? Do you need to replace or refurb discontinued components to keep ahead of the competition? For more than 40 years, industrial manufactures have trusted DRB to support their maintenance, project, and operational teams to keep their critical plant running efficiently. Recently, DRB supported a client to design and manufacture precision forming equipment that increased capacity, improved accuracy, and reduced their overall manufacturing costs, with a payback of less than 12 months. We are design and build specialists who work closely with our manufacturing partners to keep them at the forefront of their industries.